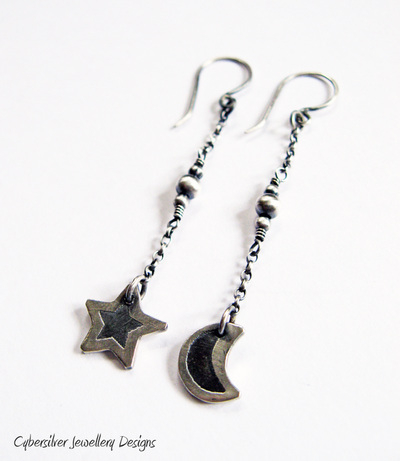 These fab drop earrings feature a chunky, hand-cut and etched crescent moon and star. Their chains have been set with hand-wrapped silver beads. 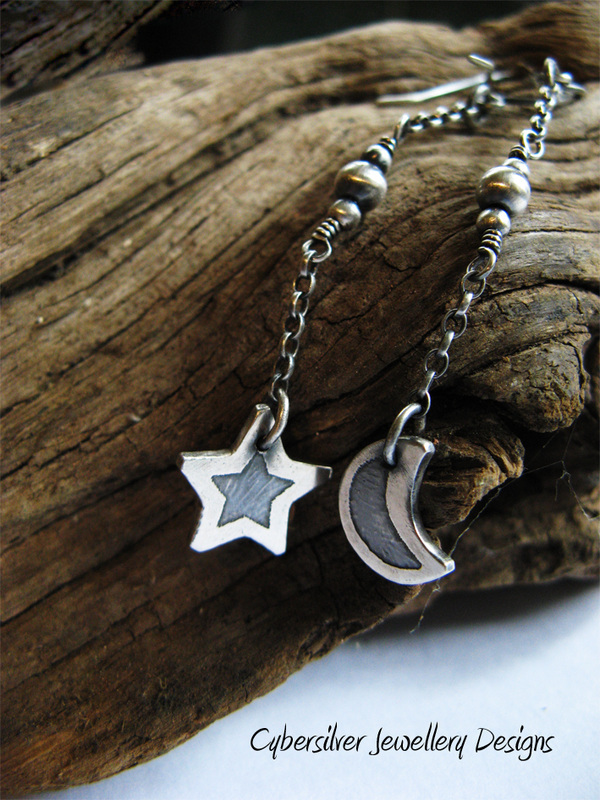 The silver has been oxidised, brushed and waxed to give a lovely patina. 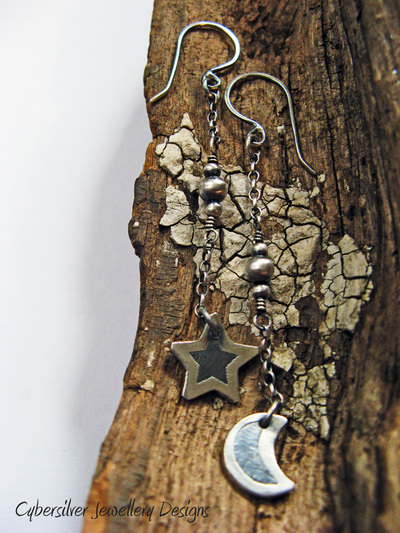 These earrings have a lovely weight and movement to them and all jump rings are soldered closed. As each pair of earrings is custom made to order, please allow up to 15 working days for completion of your order.